Moss typically grow close together in shady, damp locations. Moss is a small, non-vascular plant that absorbs water and nutrients from its leaves, while sunlight is harvested to create food by photosynthesis. The moss images below were captured at 400x magnification using the Richter Optica U2 biological microscope. 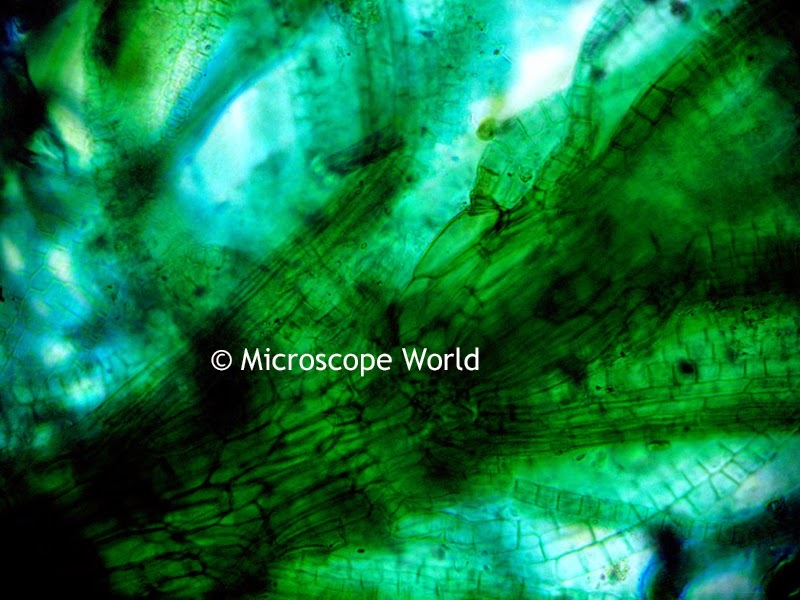 Moss captured at 400x under the U2 biology microscope. 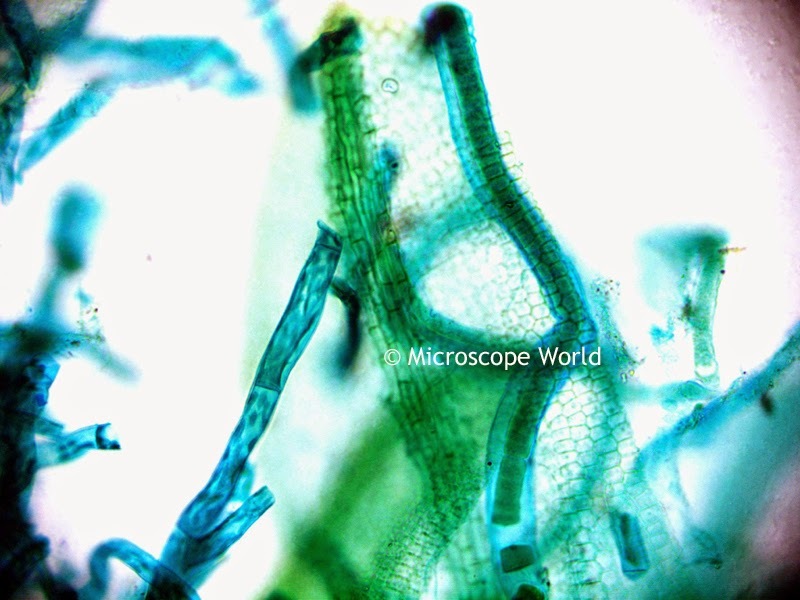 Moss under the microscope, 400x. Images were captured using a 5 megapixel microscope camera with software. The USB microscope camera provides a live image from the microscope onto the computer. The software can be used to add notes to images, make measurements and even capture video. 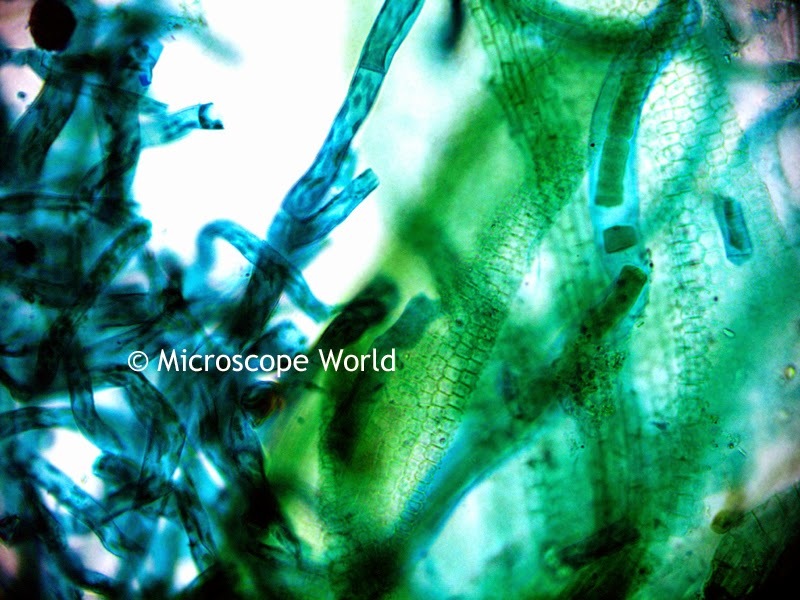 Moss under microscope at 400x. The moss prepared slide is part of the Botany Prepared Slide kit and can be purchased here. 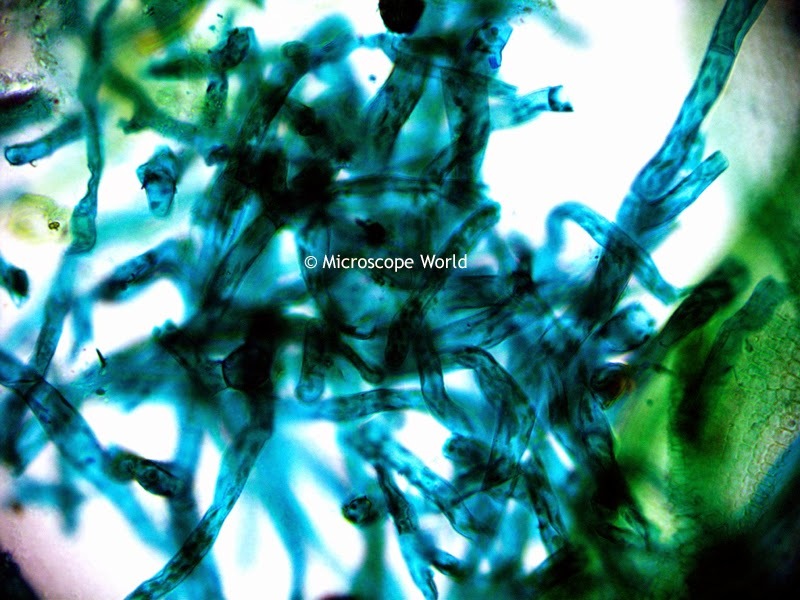 Moss captured at 400x under a brightfield biological microscope. Microscope information, images from beneath the microscope and educational science projects.